The UN Global Compact is a strategic policy initiative for businesses that are committed to aligning their operations and strategies with ten universally accepted principles in the areas of human rights, labour,environment and anti-corruption. By doing so, business, as a primary driver of globalization, can help ensure that markets, commerce, technology and finance advance in ways that benefit economies and societies everywhere. This ever-increasing understanding is reflected in the Global Compact’s rapid growth. With over 12,000 corporate participants and other stakeholders from over 145 countries, it is the largest voluntary corporate responsibility initiative in the world. 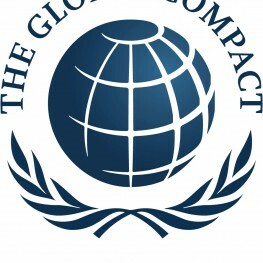 Endorsed by chief executives, the Global Compact is a practical framework for the development, implementation, and disclosure of sustainability policies and practices, offering participants a wide spectrum of workstreams, management tools and resources — all designed to help advance sustainable business models and markets.